Families come to Goldberg Law Group to guide them in navigating the long term care system and in protecting assets from the devastating cost of long term care. When someone needing long term care in New Jersey has qualified accounts (401(k), 403(b), IRA – type accounts), planning becomes more complex. One of the reasons for this complexity is that qualified accounts often must be liquidated in order to protect them – a move that triggers a large taxable event. While there are other methods of protecting qualified assets (i.e., using certain types of annuities), the easiest way to address them is to use them to pay long term care expenses. Most seniors are advised to withdraw only the required minimum distribution amount from their qualified accounts. 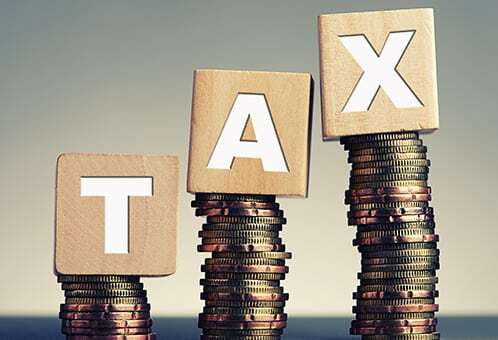 Otherwise, they are required to pay tax on the withdrawal rather than allow it to continue to grow tax deferred until their other assets are exhausted. While this advice is prudent most of the time, it may not be wise in the face of long term care expenses. In our practice, we find a lot of families paying for long term care from their non-qualified accounts and leaving their qualified accounts for later. One of the first discussions I have with these families is that they are probably better off using the qualified assets first (always with the agreement of their accountant). There are two reasons: First, under certain circumstances long term care expenses act as a medical deduction which offsets the tax otherwise due on the withdrawal of qualified funds. This is one of the few available methods of spending one’s qualified monies without paying tax. This is akin to saving 20-30% of the value of these accounts. Second, using this method allows the families to spend down accounts that otherwise may have been difficult to protect. Why spend down accounts that one can protect when the accounts that one cannot protect are available tax free? In 1996, long-term care provisions were added to the Internal Revenue Code making certain expenditures incurred for qualified long-term care services required by a chronically ill individual deductible as medical care expenses. These expenses include home care, assisted living, and nursing home care. For seniors, once their medical expenses exceed 7.5% of their adjusted gross income they may deduct those expenses so long as they are considered “chronically ill”. 2. one requiring substantial supervision to protect the individual from health and safety due to severe cognitive impairment. Elder law is not only about solving clients’ legal problems. At Goldberg Law Group, we counsel clients on legal, financial, housing, and planning issues. With our guidance, you and your family will rest easier knowing that your long term care needs will be addressed from all angles. Please contact us if you or your loved one has qualified accounts and is facing a long term care need.